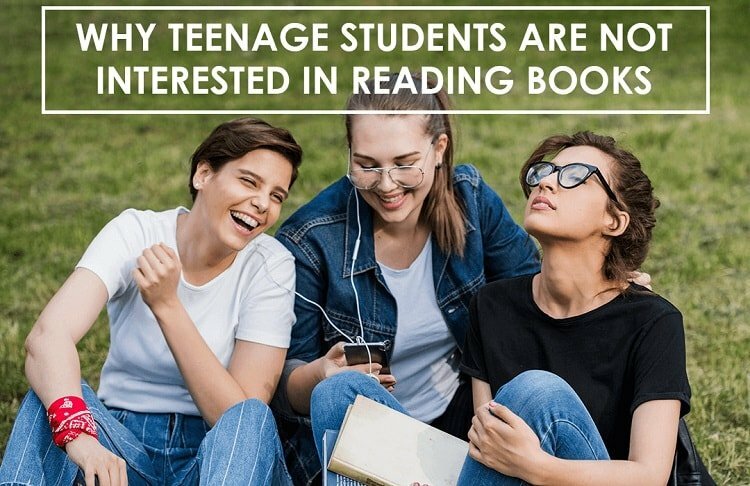 Does your teenager like books? Do they like reading stories over watching movies? Does your teen visit the library often?? If the answer any of these questions is a “NO,” then you are at the right page. Reading is the most fundamental habit any kid can learn- not only education, but reading is essential for the overall upbringing of your child. Your child might have grown up reading comics and short stories, but as they reach their teenage, there is ample distraction surrounding your kids, topping the list is – digital gadgets. Teenagers neither have the patience nor the imagination to benefit and enjoy from reading. The fading reading habit amongst teenagers is severely alarming that parents need to take the assistance of parental control software for digital parenting. If your kids are one of the handfuls who stopped reading, then they are missing out on a brilliant opportunity. Sadly, book reading habit is declining among teens. Teens have stopped reading books as they used decades ago. Stories like Harry Potter, Twilight, To train the dragon, etc. converted to movies have more followers than the actual novels. Reading is a hobby that has no replacement. Technology has been the primary culprit for the loss of reading habit in today’s youngsters. Digital gadgets are responsible for distracting kids from their academics as well as reading habits. No doubt staying updated with technology is essential, but the addiction this generation has created is dangerous. Kids health and overall brain growth are at stake, all thanks to the digital gadgets. How to encourage reading habits in kids? In the dying era of reading, parents need to take the frontlines and encourage youngsters to cultivate the age-old habit again. One thing we can assure, force can never be a solution when it comes to reading. Reading can be enjoyed and experienced either by examples or by fun-filled elements. Don’t make reading only a task for academics; reading can be fun and used for leisure. Get comfortable in your teens’ bed and start reading novels together. Let your kid make the choice of books and read aloud. As parents, influence their imagination and add value to the stories wherever possible. You are wrong if you thought cybercafes have brought down all libraries. They do exist, and they are in your vicinity. Google now! Right from your kid’s childhood, help your kid inculcate the habit of visiting the nearest library to read and issue books. Eventually, as they grow into sharp teenagers, libraries will turn into an escape from the turmoil of teenage life. And eventually reading will help your teens to become better individuals. A win-win situation, right? We all have grown looking up to someone in our life- may be our parents or our favorite uncle from Texas. These individuals play the most critical role in our lives- our role models. Hence, parents are advised to set good examples for their kids. Remember, your kids will practice what you preach, only if you practice what you preach! Technology may have been the biggest distraction in your kid’s life; however, if you change your perspective then there are a lot of benefits technology has showered. The best example is the e-reader. Your kid does not approve of books, no worries – switch to e-readers. And sooner or later, paperbacks may get completely surpassed by e-readers. Why not gift your child an e-reader instead of a gaming console on their next birthday? The fact that kids grow up to become what they see is real. And to back this fact with evidence, you can visit a family who has embraced books in their daily routine. Some families cannot live without books and reading. Surround your kids with ample of exciting and positive books. Once in a while, you can recommend some good reads and ask them to exchange the same knowledge with you. Parents should try all different ways to help their kids in implanting the habit of reading. Yet, if smartphones and other digital gadgets are distracting your kids, it is high time to take stringent actions. Technology exposure is acceptable only up to a certain level of addiction, after which you need to control your kids’ screen time. Parental control software’s are undoubtfully the best chance parents have to avoid excessive digital empowerment in kid’s life. Cut down your kids’ smartphone addiction through progressive parental control apps like Bit Guardian Parental control app. Parental controls open a wide door for exploring different shades of life instead of being captured in the 5-inch world of cell phones. Embrace reading with the assistance of parental control software For Android!